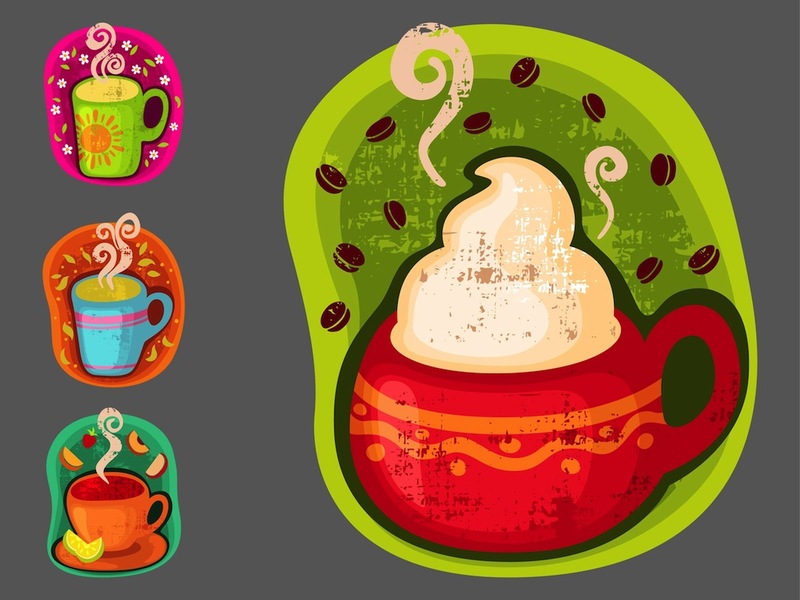 Colorful vector images of hot beverages. Backgrounds with rounded shapes, big colorful cups, grunge patterns and small icons showing the content of each mug. Vector images of coffee, fruit tea and herbal tea. Free illustrations of hot steaming drinks for company logos, application icons and stickers projects. Tags: Bar, Beverages, Café, Coffee, Cups, Drink Vectors, Hot, Logos, Mugs, Tea.